Peninsula Island Resort & Spa is located on the Gulf of Mexico at the end of the Isabella Causeway on South Padre Island, Texas known for the most beautiful and secluded beaches in the area. The vacation ownership suites are luxuriously designed with Italian porcelain floors, ten foot ceilings and Brazilian furniture. 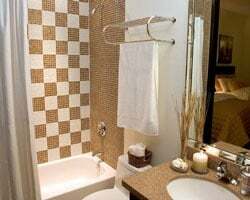 The accommodations vary with 39 units in total: ten studios, five two-bedroom suites and 24 three-bedroom Presidential Suites. The resort features a five-star restaurant, Las Olas, directly on the water, and Aveda Exclusive Spa, and endless infinity pool and 24-hour concierge service. Enjoy romantic getaways on South Padre Island every odd year in any floating week! Buyer may receive a title fee credit, inquire for details!! Rare resale on South Padre Island! Right To Use to 2036 and is renewable. Price is negotiable. 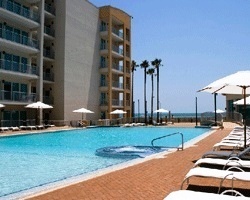 Rare resale opportunity at this outstanding South Padre resort! Beautiful resort on South Padre Island! Enjoy beach vacations on the Gulf of Mexico! Buyer may receive a title fee credit, inquire for details! 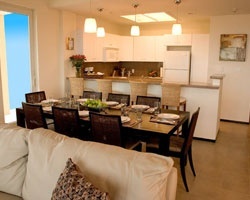 Gorgeous resort with luxurious accommodations! Perfect destination for beach lovers! Buyer may receive a title fee credit, inquire for details! Beachfront paradise! Pick your vacation dates with an annual floating week! Buyer may receive a title fee credit, inquire for details! Fantastic location on the Gulf of Mexico! Floating week! Buyer may receive a title fee credit, inquire for details! Perfect destination for beach lovers! Floating week during even years! Buyer may receive a title fee credit, inquire for details!